We love Warner Archive Instant and so should you! This week our Must Watch Warner Archive pick is the relatively unknown crime drama The Steel Trap (1952), starring Joseph Cotten and Teresa Wright. Don’t have a subscription to Warner Archive Instant? Go ahead and give it a try. The lovely folks at Warner Archive offer a one month free trial, so get to it! 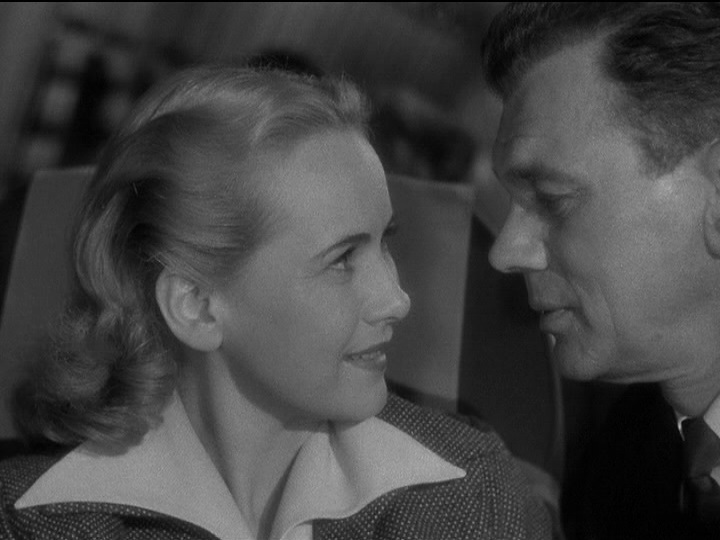 In 1943, Joseph Cotten and Teresa Wright starred in the Alfred Hitchcock thriller Shadow of a Doubt. Cotten’s widow-killing Uncle Charlie has an unusually intimate relationship (read: possibly incestuous?) with his niece, who’s also named Charlie (Teresa Wright). The dynamic between these two characters is incredibly disturbing, even by Hitchcock’s already creepy standards. Nine years following the release of Shadow of a Doubt, Cotten and Wright co-starred in another film, The Steel Trap— this time as an adorable married couple. No Hitchcock weirdness here, although the Charlies’ bizarre relationship is hard for audiences to forget. Jim and Laurie Osborne are the perfect all-American couple. They own an adorable house on a quiet street, have a precious little daughter, and Jim holds an important position at the bank. Everything appears to be in place for this young couple…except Jim is growing increasingly frustrated with their very average, very middle class life. He wants to give his family more stability and less worry, and provide Laurie with everything she’s ever wanted. Jim’s pipe dreams of reaching complete financial independence make working at the bank a dangerous endeavor, especially when he discovers a loophole that will help make those dreams a reality. A highly illegal reality. With expert knowledge of the inner-workings of his bank’s security protocol, and a discovered flaw in the extradition laws in Brazil, Jim hatches a plan to steal a million bucks. It’s all very simple: secure passports for him and the wife, steal the dough after everyone’s left for the day, hop on a plane to Brazil under the guise of a business trip, send for their kid. Forever happiness, right? Of course none of it goes according to plan, which causes Jim to act anxious and paranoid. His bizarre behavior doesn’t go unnoticed by Laurie, especially with his offers of ridiculously large tips (and bribes) to cabbies, Customs officers, and hotel porters, all in an attempt to get to Brazil quickly. The Steel Trap is an excellent, fast-paced crime drama, with great thrills and suspense, and the less you know about the film going into it, the better. 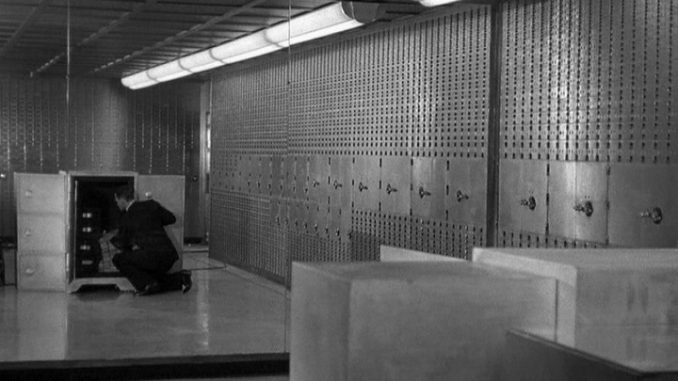 From the instant Jim initiates his bank heist, there’s hardly a dull moment. The Steel Trap is an exciting watch that gets even better with repeat viewings.